« Good Stories – They’re Everywhere! I hate it when I can’t put books down. I don’t get anything else done. But that what the case with this book. First of all, personal disclosure: I know the author very well. For a while, I avoided this novel because doing a review for it felt a little odd. But I’m so glad I finally did read it. I’m putting the review on my personal blog because (1) because the review seems a little personal and (2) I don’t really have anywhere else to review a young adult story, which is this definitely is. Written in first person, the story follows Raisa, an Arnath slave in Qilara. Born the daughter of a Learned One, she is captured as a child and forced into servitude. She would have been killed along with her parents had the raiders known who her parents were, but she is protected by her anonymity. She spends her days with other children, trying not to fall and die while they painstakingly clean the walls, ceilings, and statues in the palace. Arnathim, other than Tutors, are prohibited from reading and writing. Even ordinary Qilarites are not allowed to know the writings of the royal class, but the Tutors must learn all symbols in order to pass them along to royal heirs. When a Tutor commits treason, Raisa is selected to replace her. Her fellow student is Mati, the current heir to the throne. They fall in love. Meanwhile, Mati is betrothed to a girl whose family would shore up the kingdom treasury, and Raisa tries to help the slave children. Palace intrigue and a slave revolt add to the fast pace and exciting story. One of the compelling features of this story is the difference between Qilarite and Arnathim writing. That difference is based on conceptual versus sound-based writing, for which the author obviously draws on her training in American Sign Language. The author also creates a mythology, followed chapter by chapter as the main story unfolds. Fascinating and effective technique. MacMillan skillfully weaves numerous symbols into the story, including the asoti birds that give their quills for writing and live in cages without bars. The bars are intangibles that hold them back. 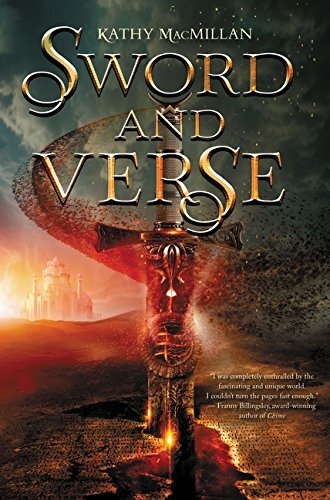 Raisa protects a written link to her past, which she decides is insignificant, but is in fact the key to her understanding of her situation and freeing the Arnathim. The characters are not all well-developed, but Raisa certainly is. I think we’ll be looking for more novels from MacMillan.